No ISBN, published in 1962 by L'Institut Scientifique Chérifien, Rabat, Morocco, original paper binding within a half leather binding with an antique book look, 15 by 24 cm (about 6 by 9½ inches), 245 pages including 42 page size plate of line drawings of 193 species, also has a fold out map. Text is in French. 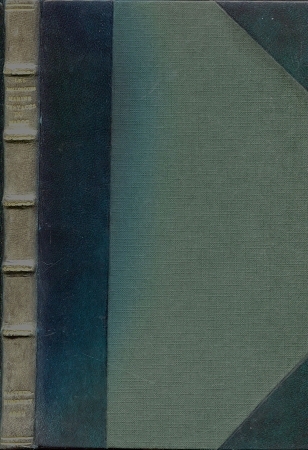 This is a beautiful copy of this very scarce book and the hard cover half leather binding it has received makes it even more beautiful than other copies we've seen. 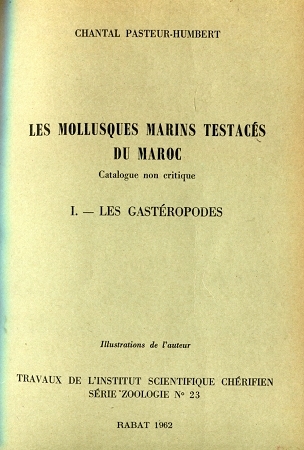 It is a rather specialized book, one of two volumes of the shells found off Morocco. 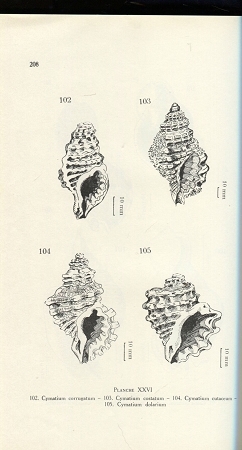 After the introductory pages there is a listing of the 193 species that are represented in the book by top quality drawings along with a brief description of the shell, its size, its habitat and etc. The second part of the book is a listing of hundreds of other species of shells that have been reported from these waters. It is a non-critical listing in that no judgement is made as to the validity and taxonomic standing of these shells. 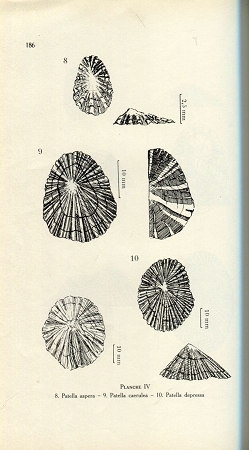 Along with these shell names we are given some slight descriptive material along with the reported range of these shells and where they have been found in Morocco. The text is in French but it is minimal and I think can readily be understood even by those who have little or no experience with the French language. This is the first copy of this book we've come across in a long time.